This is our first Internet issue of Marine Aquarist. All of us are excited about offering a publication to benefit beginner, mid-level, advanced and professional marine fish and reef aquarium keepers. 1) After receiving hundreds of long distance phone calls from marine aquarium hobbyists asking entry to mid-level questions, it became apparent that key information was not being offered by too many retail stores and not found in traditional magazines and specifically on the internet. 2) Fish chat rooms have sprung up internationally on the internet. The vast majority of the information offered on the internet regarding marine aquariums is offered by individuals attempting to help others. While the motivation is good, most of this information is simply opinions from dramatically unqualified individuals, without any professional scientific training or validity. The majority of opinions on the internet address low cost, second rate, or used equipment. 3) Traditional hobby magazines depend on advertising revenue and rarely, if ever, compare competitive products or evaluate product contents vs. package labeling. 4) The need for accurate information offered by professionals directed to all levels of marine aquariums. Marine Aquarist is written by some of the world’s leading aquatic authorities. Advanced hobbyists are welcome to submit articles that will assist fellow aquarists. 5) The pure energy and excitement resulting from the creation of a new project. Marine Aquarist encompasses a wide range of topics in an honest, unbiased effort to assist interested individuals in enjoying marine fish and reef systems. 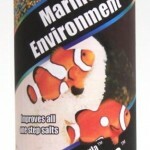 Salt water fish and reef keeping is fun, exciting and easy.All you need is the proper information and the proper products. 80 gallon mixed marine fish and reef invertebrate aquarium. Proof positive that you can have a fantastic salt water aquarium display with a variety of marine fish and colorful invertebrates. This invertebrate aquarium has been set up for over two years. Lighting is two 5600ºK metal halide lamps, one Phillips actinic 03 and one spectolight daylight fluorescent lamp. The water is 100% BIO-SEA®. Aqua Cal is added twice a month. A 25% water change is made each six weeks. 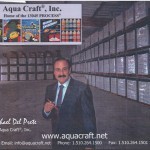 No other additives, filter resins, carbons, are used. BI OX® is in the trickle filter.